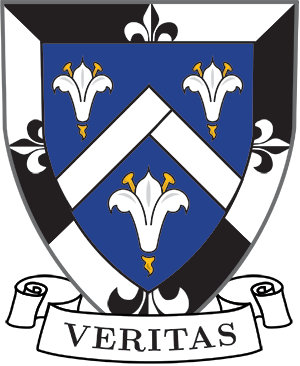 St. Vincent Ferrer High School: St. Vincent Ferrer High School was established in the tradition of St. Dominic, who strove to instill in others a lifetime commitment to study, community, prayer, and service. St. Vincent Ferrer High School is sponsored by the Parish of St. Vincent Ferrer, located at 65th Street and Lexington Avenue. The first school was built in 1884 and was staffed by the Dominican Sisters of St. Mary of the Springs. Presently, the Dominican Sisters of Our Lady of the Springs administer and staff the school. The school was started to meet the educational needs of the immigrant population which was flooding into New York City. Today, it prepares young women from diverse backgrounds for college and a lifetime of learning. A challenging and supportive environment that cultivates intellectual, spiritual, and moral values is provided. Furthermore, we seek to empower our students to become responsible, independent, and principled members of the global community as well as effective witnesses of Christ’s love. Dominican Shrine of St. Jude: The Shrine of St. Jude is a work of the Dominican Friars of St. Catherine of Siena Priory. The Shrine promotes personal and common prayer. One of its tasks is to organize common prayer for our Parish. St. Jude Thaddeus, the Apostle of Hope, is the saint to whom millions of the faithful pray in times of great distress. Dominican Friars Health Care Ministry of New York: The Dominican Friars Health Care Ministry of New York provides pastoral and sacramental care of Dominican Friars at Memorial Sloan-Kettering Cancer Center, New York-Presbyterian/Weill Cornell Medical Center, and Hospital for Special Surgery. The Health Care Ministry also recruits, trains, and directs Extraordinary Ministers of Holy Communion for the same institutions, provides formation for future health care ministers, and serves the local health care community through spiritual, ethical, and educational outreach.